It’s about embracing your cred—geek cred. The first GeekGirlCon graced the Emerald City in 2011. Its mission is simple: all people deserve equal recognition and everyone should feel empowered to pursue their passions. But, as Susie Rantz—Manager of GeekGirlCon Public Relations—says, this isn’t always the case for women who work in, or enjoy, the sciences, technology, comics and gaming. The reality, she says, is that women aren’t the minority in geekdom; they just don’t get the recognition. Forty percent of San Diego Comic-Con guests were women, and Susie adds that 47 percent of game players are women, too. 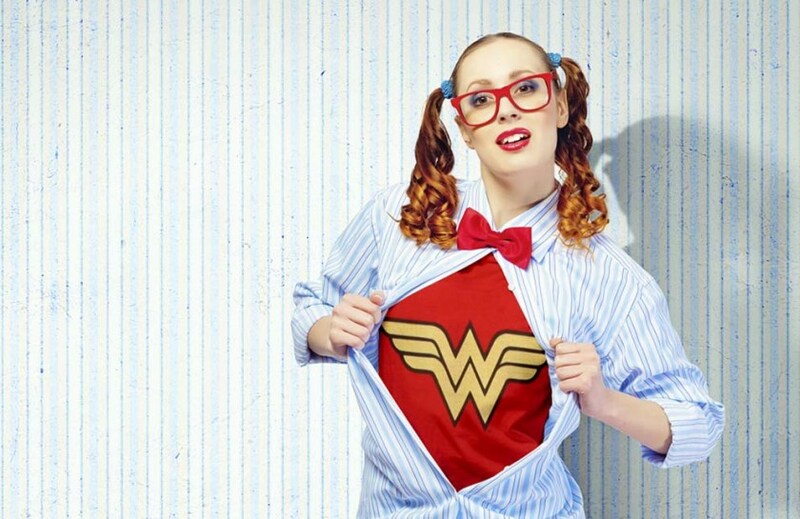 “Until recently, geeky women and their supporters didn’t have one safe and welcoming place to share their passions, attend or run panels concerning their contributions to geek culture and celebrate who they are and what they love,” Susie says. There have been some disturbing instances in the past where women have been forced out of doing what they love. Susie remembers the story of Miranda Pakozdi, an experienced gamer playing in a Cross Assault video game tournament, who was repeatedly harassed by her team’s coach. Throughout the game, the team’s webcam focused on her various body parts, while the coach repeatedly hurled sexual comments at her, saying it was “just part of the game.” Miranda ended up forfeiting the tournament. GeekGirlCon to the rescue. “Women can be just as fanatical about comics, video games or any other topic as men,” Susie says. “They should not have to prove their ‘geek cred’ to anyone.” At the con, women can connect to discuss cosplay (costume play) ideas, debate about favorite TV shows and create a community of support. The convention plays host to entertainment and fandom, networking and job connections and academic discussions. This is seen in panels, workshops and interactive sessions, covering the fun (comic books) to the fundamental (portrayal of women in geek culture). That being said, Susie encourages anyone to come to the con. In year’s past, 20 to 25 percent of guests were men, and 20 percent of guests in 2011 and 2012 were girls younger than 10. If you self-identify as a geek and support the achievements of women in the culture, then you’re welcome. Just imagine the Avengers—a team made up of men and women (and creatures) with different strengths, all fighting for the same cause. “Pursue your geeky passions and strive to contribute to geek culture,” Susie says. So, “to fight the foes no single superhero could withstand,” geeks … assemble!